Laundry, while never-ending, is a necessary part of life. At Boston Closet, we provide various products to help guarantee that every homeowner has the opportunity to organize and design their laundry room to its utmost potential. However, when it comes down to actually doing the laundry, things can get a little messy. We are here with beneficial laundry tips for any homeowner. 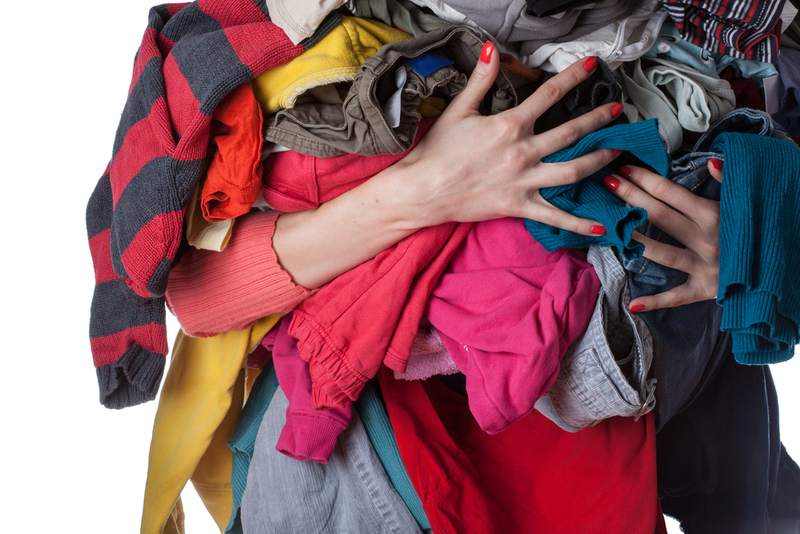 Sort garments prior to throwing them in the wash; separate colors and whites so as not to fade the clothes. Then, check pockets for any lip balm, pens, change, or other miscellaneous items that could damage the load. Finally, become familiar with the different wash settings: regular (good for whites), delicate (good for lingerie, lightweight items, etc. ), and permanent press (good for colors). Save on the electric bill by doing laundry during off-peak hours. More often than not, this means after 9pm on weekdays and anytime during the weekend. Check with your energy company to make certain that these are indeed your off-peak hours by simply giving them a call. This frugal choice will help save money as well as enabling more loads to be done in shorter intervals of time. It is important to look for special instructions on certain articles of clothing. Some are not washable in the home machine and instead require dry cleaning. Others may need to be washed by hand because they require more care. If tags are not read, it could ruin the garment and the owner would lose both the money invested on the item and a beloved piece of clothing. While some stains are unavoidable, especially for the messy eaters out there, they are preventable. Avoid stains from setting into the material by treating them instantly with water. Rub a wet cloth over the area, which will help begin the removal process. Then, using a desired cleaner, spray or soak the stain. Spot cleaning provides the garment with more detailed care by specifically targeting the blemish. Finally, wash the entire item as instructed by the tag. This may mean throwing it in the washer or scrubbing it by hand. Finally, while it may be tempting to put as many dirty clothes as possible into one load to save both time and money, do not do this. Oversized loads are counterproductive. The detergent will not spread thoroughly enough between all of the garments, parts of the clothes may not get exposed to the water equally, and it is rough on the washing machine itself. If need be, do two separate loads during off-peak hours. Your clothes will thank you in the long run. Conquering laundry takes time and practice. In order to prevent a white shirt from turning pink or a large sweater from shrinking by accident, close attention to the finer details is a must. For any of your home improvement needs, please contact us today. Boston Closet is here to help!